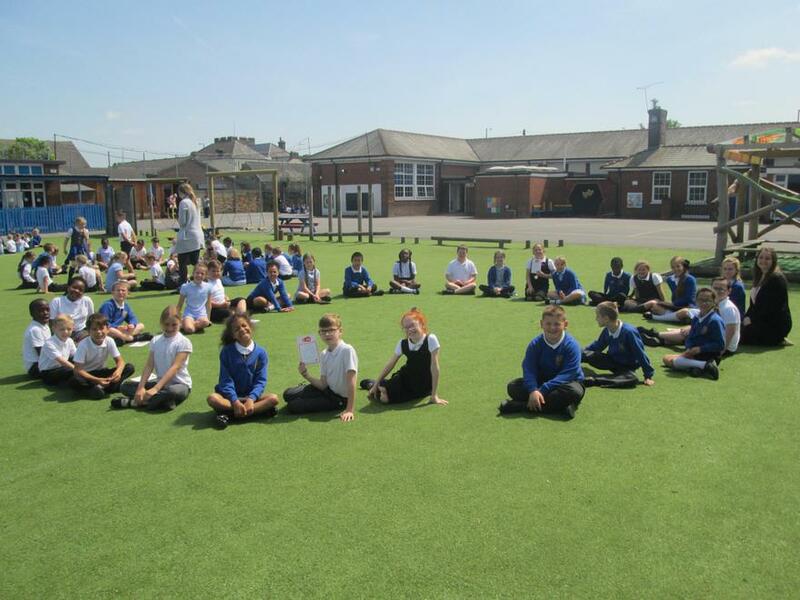 The children in Years 3-6 took part in the Borough Olympics with other schools from Thurrock. 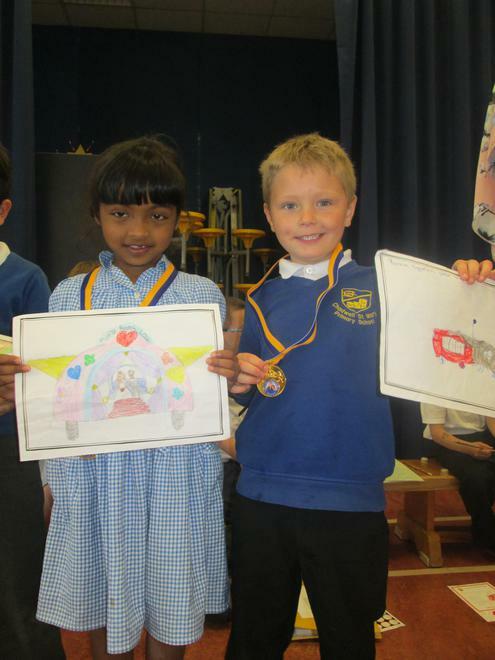 They worked incredibly well as a team and were successful in securing a third place victory. 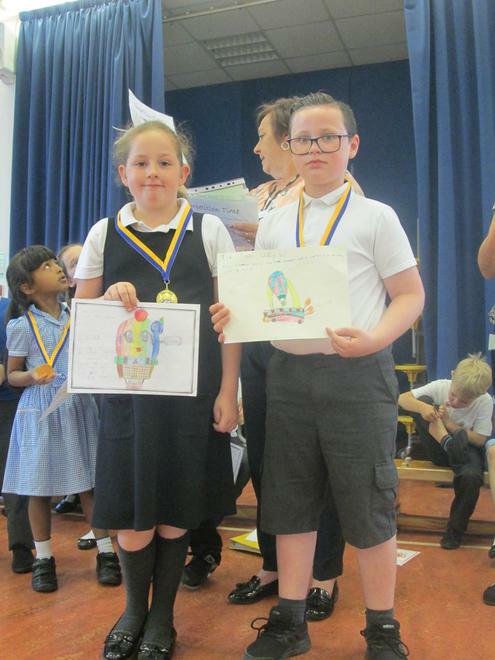 The children placed second in Track and fourth in field. Well done to everyone who participated. 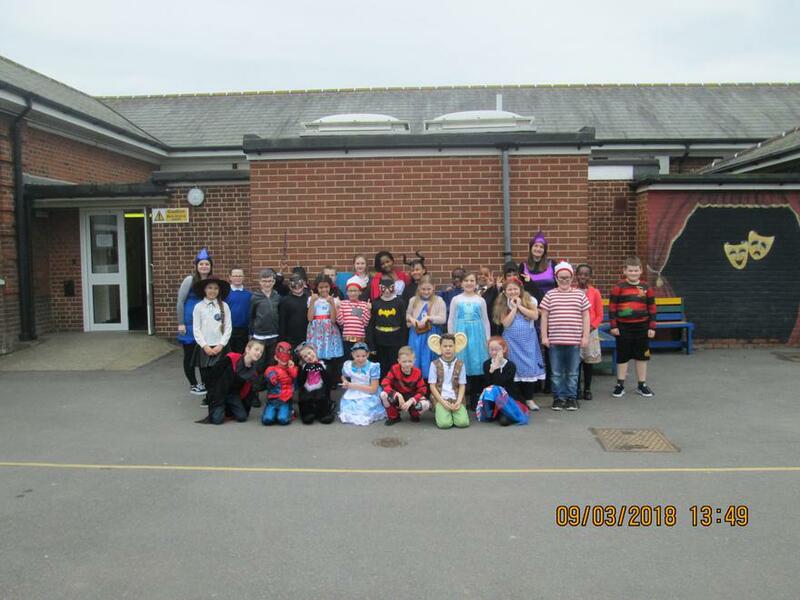 All pupils and staff at Chadwell St Mary Primary School had the opportunity to participate in Science week. 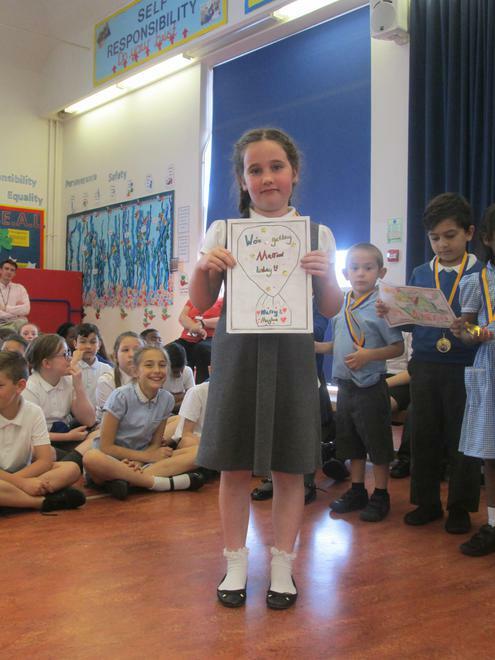 Science week took place from June 11th to June 15th. We all had the chance to join in with real-life, fun Science investigations to develop our knowledge and understanding of different scientific concepts. 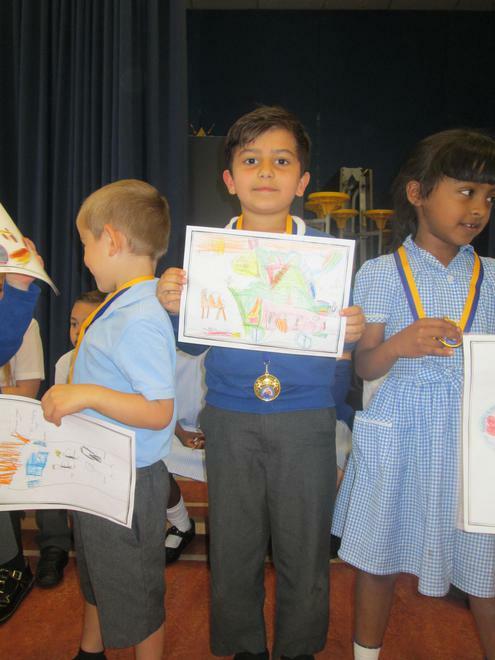 Fun with Science assembly for Reception, Key Stage One and Two. 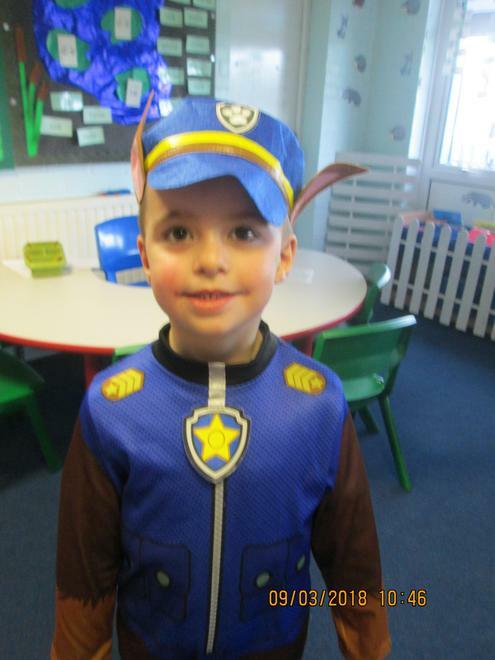 Children in Reception were learning about seeds through a practical workshop. Year 1 and Year 2 had the opportunity to dissect a plant and label the functions of a plant. Year 3 extended their knowledge about rocks by making their very own sedimentary rocks. Year 4 had a ‘hair-raising’ experience by investigating static electricity. 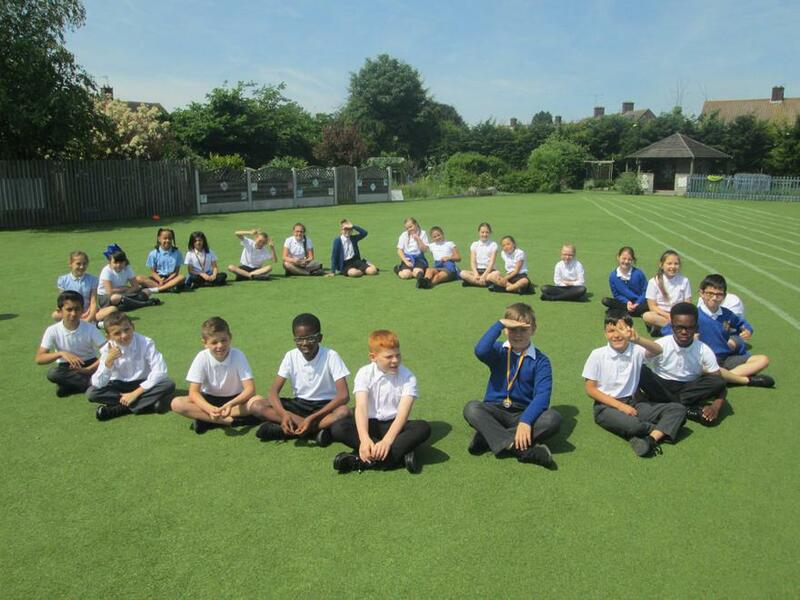 Year 5 participated in a practical workshop about the solar system. Year 6 extended their knowledge and understanding about electro magnets. The children across the school also had an opportunity to work with scientists from the Royal Society of Chemistry. 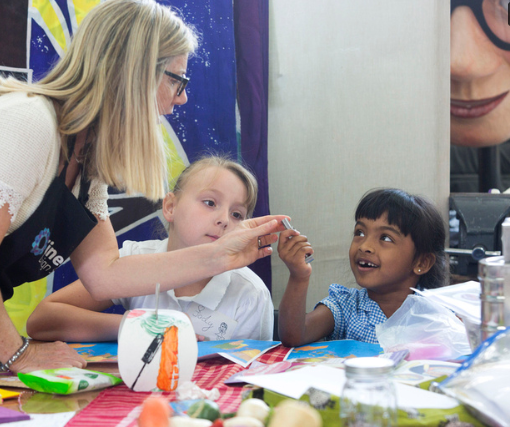 The children participated in a chromatography workshop to learn about acids and alkalis. Science week ended with a careers assembly. We welcomed visitors from STEM careers, teachers from William Edwards Science Department and a Ford engineer. The visitors presented information to Years 5 and 6 about what their job entails and what career opportunities are available in Science. 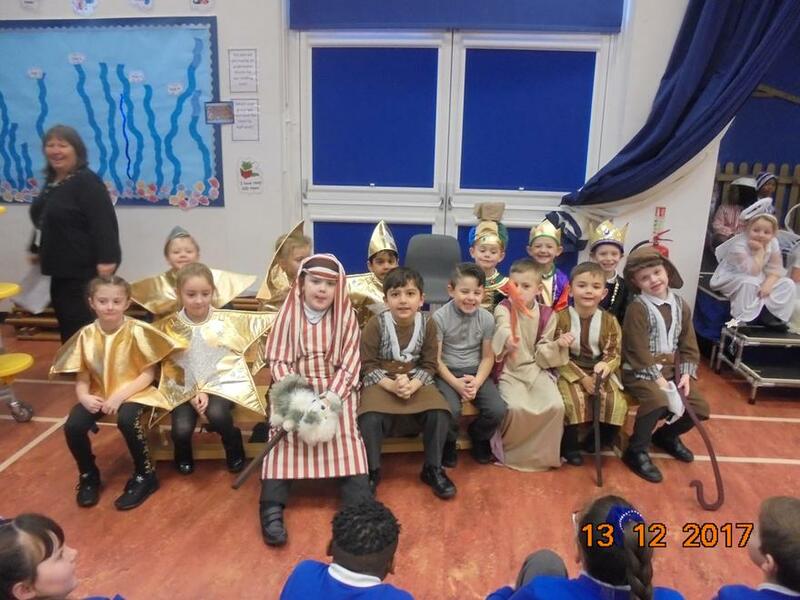 The children enjoyed the assembly and asked some great questions. 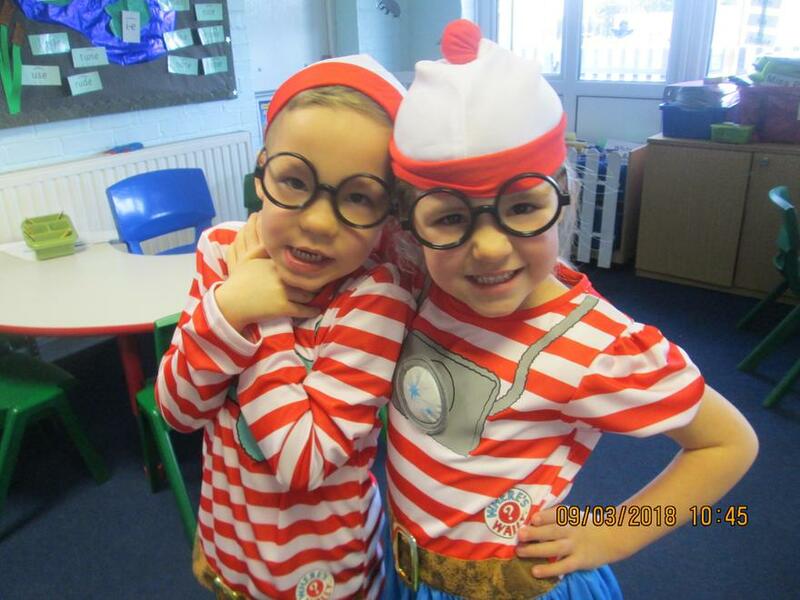 Science week was a great success and the children thoroughly enjoyed their learning. 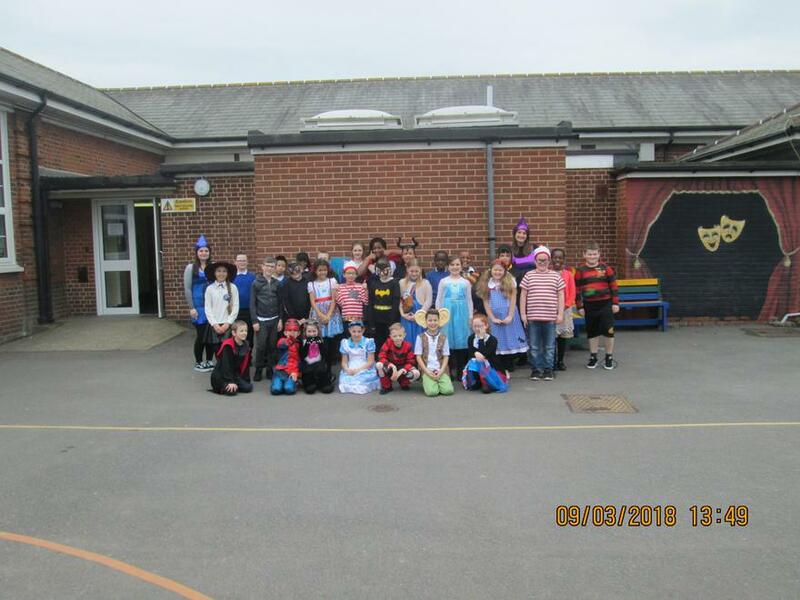 On Friday 18th June 2018 we celebrated the Royal Wedding. We announced who had won our competition for designing the best mode of transport for the wedding and have celebratory ice creams in the afternoon. 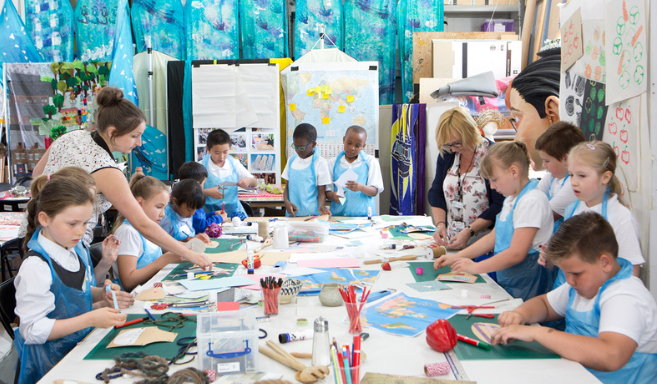 14 students from Royal Opera House Thurrock Trailblazer school Chadwell St Mary Primary visited the Kinetika studios at the High House Production Park in Purfleet on Wednesday 9 May to take part in a print workshop. 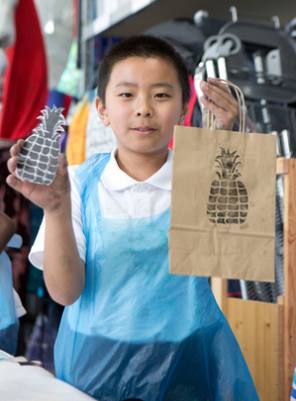 The workshop was part of Kinetika’s two-year project ‘Kitchen Table’. 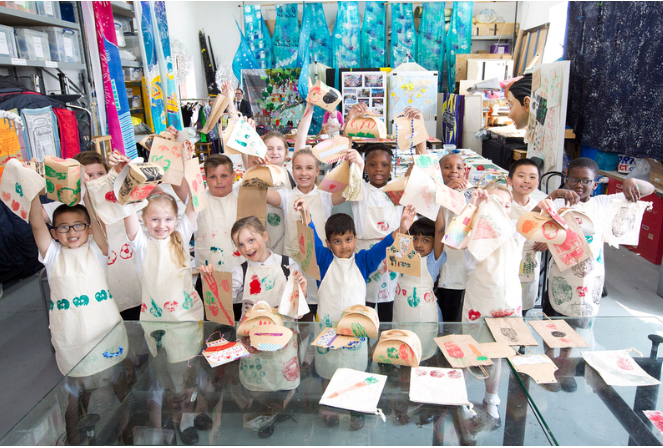 The workshop was led by artist Lisa Meehan with Kinetika’s Jane Ford and involved the children learning about food and recipes from around the world and how to cut and use printing blocks to create interesting designs. Jane Ford was delighted by the hard work and creativity of the young people: ‘We had a really good start to the day with shared stories and favourite foods from across the globe. We were educated by the children themselves with information about egg fried rice and taught how to use chop sticks. The salt fish dish from Jamaica also stands out and dumplings from Poland and pancakes from Lithuania along with foods from Romania and Italy. 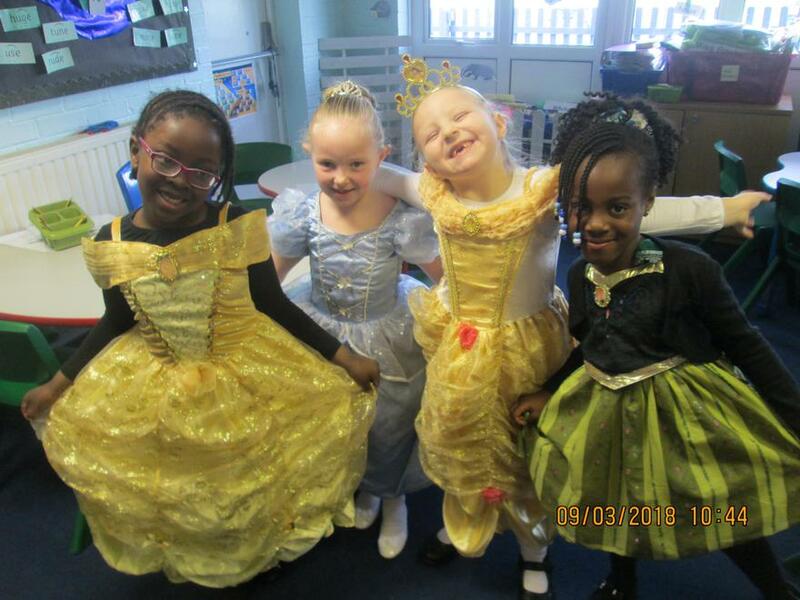 Tasting some unusual vegetables as well set us up for celebrating all the differences as well as similarities in what we like – Lisa’s mum’s Tottenham cake went down a storm! All this was before we even started drawing and printing. 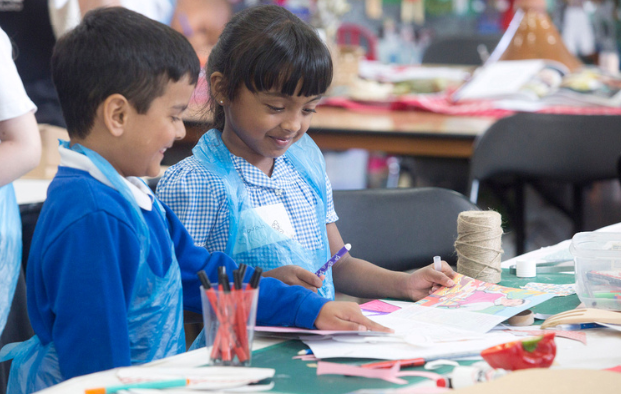 Lisa encouraged the children to transfer their ideas into artwork and print with different inks and tools onto a variety of surfaces. 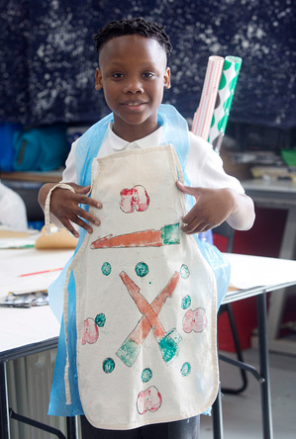 The children went home with cardboard lunchboxes, calico aprons, cloth bags, paper bags and board aprons and bowls decorated in their wonderful, colourful work. 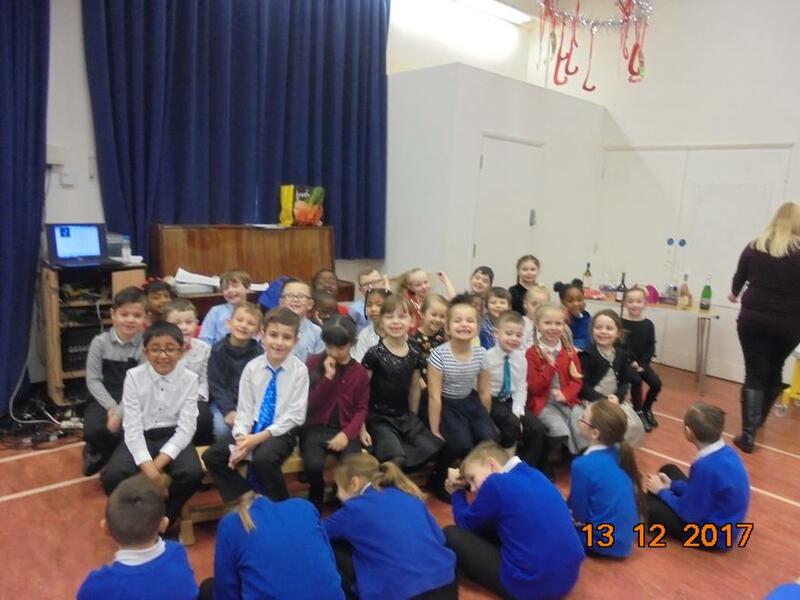 We anticipate they will enjoy talking more about of their favourite foods and sharing recipes in a variety of different ways – hopefully with other members of their classes. 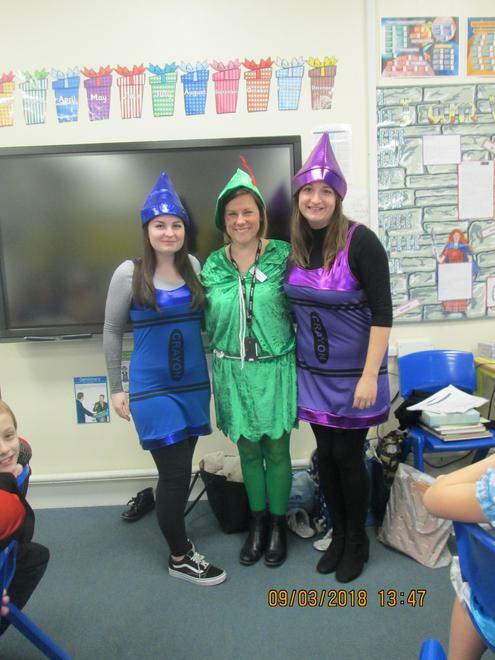 At Chadwell St Mary we celebrated World Book Day a bit later this year because of the snow. 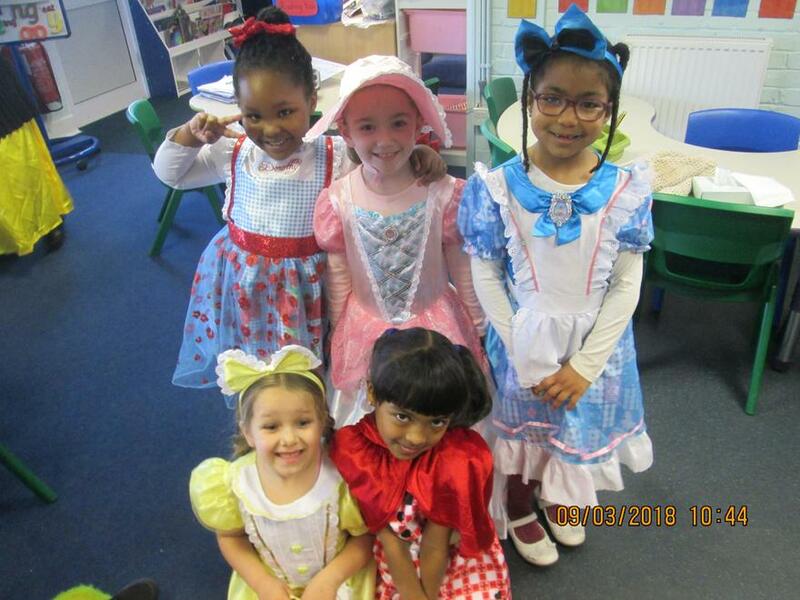 Look at our amazing World Book Day costumes. 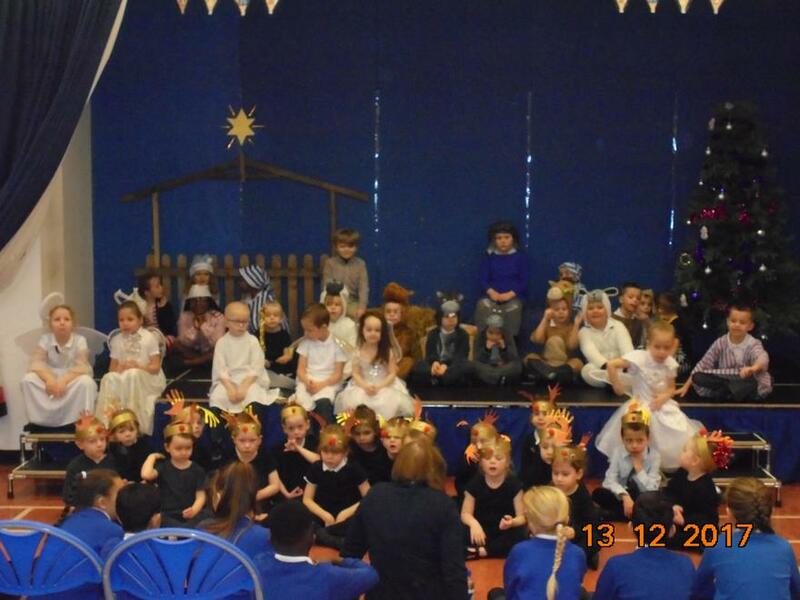 This Christmas Reception, Year 1 and Year 2 put on a Nativity for the school and their families. 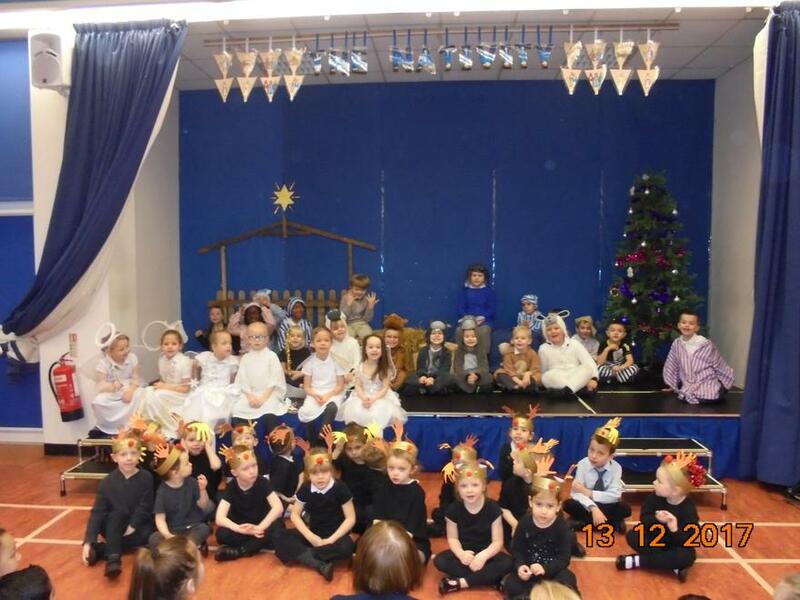 The children worked extremely hard to learn all of their lines and the new songs to put on a brilliant performance. Look below to see their fantastic show!